LAKE OSWEGO, Ore., Sept. 29, 2017 /PRNewswire/ -- Mark Russo, CEO of Treasure Investments Corporation, signed an agreement with American Design LTD in Aurora, Colorado to display TIC's newest bronze sculptures from the World famous Lorenzo Ghiglieri and son Laran Ghiglieri into nine of its premier fine art galleries. The galleries are located in Aspen, Vail, Beavercreek, Santa Fe, New Mexico and in the Denver area. American Design LTD was founded by Paul Zueger, one of the nation's most successful and prestigious gallery owners. 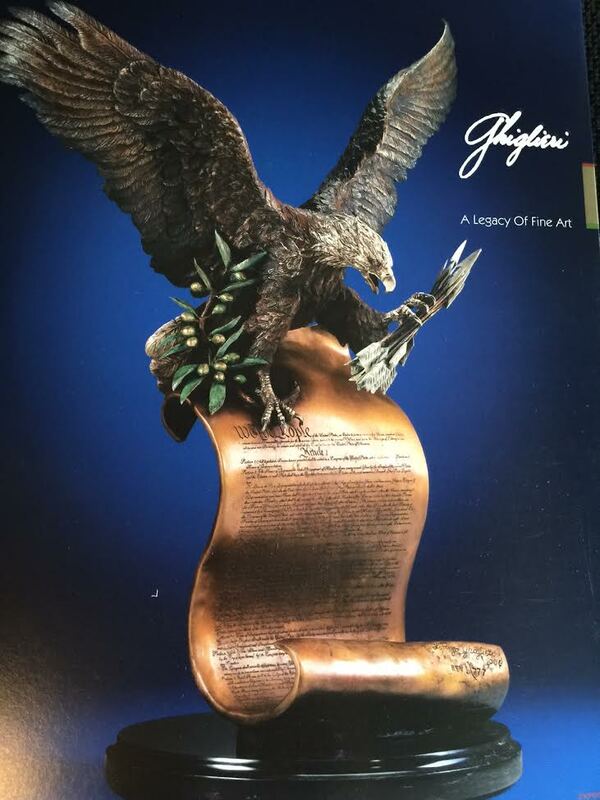 Just a few of the images being placed in the galleries for sale include Lorenzo Ghiglieri's sculpture entitled "The American Patriot" depicting a bald eagle perched atop Article One of the U.S. Constitution clutching 13 arrows in its talons. Lorenzo Ghiglieri has presented his works to President Ronald Reagan, his holiness Pope John Paul II, King Juan Carlos of Spain, Mikhail Gorbachev and many other notable world leaders, celebrities and successful entrepreneurs. Also being displayed at Zueger Galleries is Laran Ghiglieri's new "Stage Coach Gold," a historically accurate depiction of an 1860s concord "Overland" stagecoach with a six-horse team. As one of the most intricate bronze castings created, this piece took over eight months to design using over 3,000 parts in its original design and creation. The finished bronze casting includes a lockbox on top of the stagecoach carriage full of pure silver and solid gold bars. Mark Russo, CEO of Treasure Investments Corp, is preparing the company for an anticipated Initial Public Offering (IPO) in 2018. 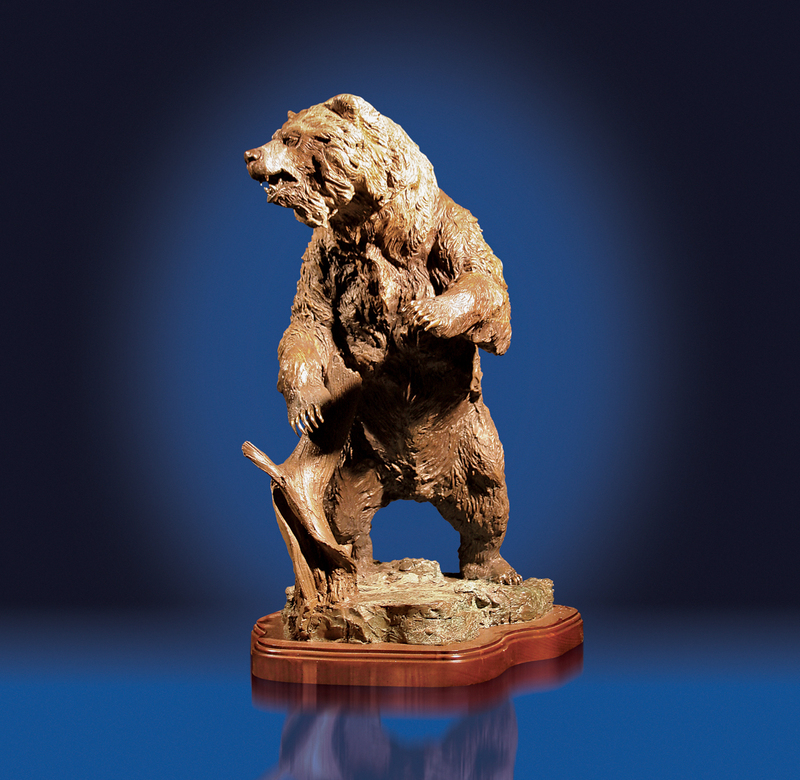 The fine art company provides high-end limited-edition bronze sculptures for charity fundraising events as well as creating and distributing its world-class images to fine art galleries in the United States. The subject matter of these pieces ranges from wildlife themes to historical, cultural, western, and biblical. Treasure Investments Corporation has amassed a master mold collection of more than 700 original works of art including many works from world-famous artists, Lorenzo Ghiglieri and Laran Ghiglieri, as well as master molds that originated from the Vatican and the Villa Borghese Museum in Rome. Bernini and Michelangelo are also among the artists that are included in the mold collection. The company has a strong focus on philanthropy. One of their main business divisions is their charity auction program, which provides fine art pieces for fundraising events and auctions. The unique business model sets the company apart from the rest. 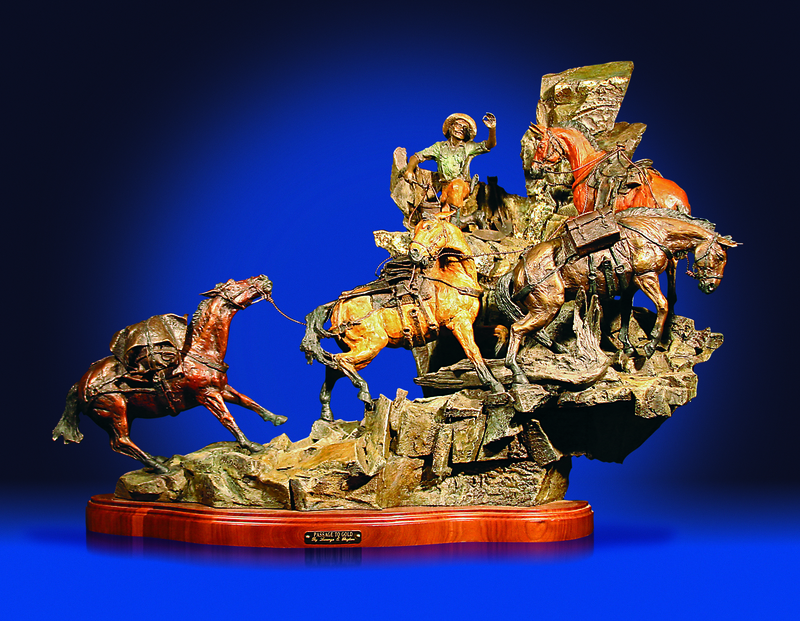 Russo created this innovative model in 1998 by placing valuable bronze castings into gala charity fundraising events. The first piece sold for $63,000. This model has subsequently created tens of millions of dollars in revenue for the nonprofits. "Treasure Investments Corp is now positioned to be the sole provider of high-end bronze sculptures for nonprofit actions throughout the United States," says Russo. "With more than 600,000 live charity auctions per year, and growing daily, the ability for Treasure Investments Corp to scale its auction model is beyond exciting for just one of its profit centers." Treasure Investments Corporation has had a third party independently appraise its mold collection at more than $900 million. This asset of master molds took more than 35 years to create and is truly irreplaceable. Currently, Treasure Investments Corp has no debt and has successfully completed its first round of equity finance of $1 million. Treasure Investments Corp has a diverse business platform, creating and providing fine art in original sculptures from small desktop images and collectibles to larger than life heroic monuments. The company's master mold collection contains hundreds of original molds from world-famous artists in the United States and Europe. For more information, visit Fineart1.com.